Even the best products uniquely tailored to customers’ needs and a full, comprehensive offering cannot guarantee success on the market without the proper support of an efficient customer service department. What is the quality of service offered to my customers? How does the quality of service correspond to customers’ expectations? Does the quality of service offered within my sales network meet market standards? The quality of customer service is of paramount importance in the services and FMCG sector, which is characterised by repeat purchases. The success of sales in strongly competitive markets is largely dependent on the professionalism, kindness and flexible, individual approach of the seller. The key feature of service quality management is accurately defined standards governing the sales process and post-sales support. A comprehensive customer service research involves a range of elements, from participation in the process of development of standards (so that they may be measured and examined using methods of service quality analysis), through actual analysis, ending with the development of a system for providing feedback to individual customer service points. As a result of the customer service research new service quality standards are developed and the client receives our support in their implementation. Moreover, a system for the regular monitoring of service quality is set up. In addition, as part of the project we may examine how the sales network corresponds to customers’ needs and expectations. The report from the study presents measures of service quality and an assessment of the sales network. Conducting such analyses on a regular basis allows the effect of implemented changes to be monitored and remedial actions taken. The technique applied most frequently in customer service research is participating observation. 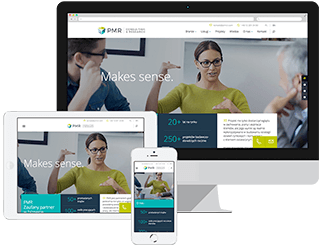 Properly prepared PMR Research interviewers act as customers. In this technique, Mystery Shoppers / Mystery Caller follow specific scenarios of a visit at a selling point. For the purposes of establishing service quality standards or a sales model, we organise workshops and interviews with employees and customers.